We have an increasing number of Windows 10 machines in our office, and realized that we couldn’t get them to connect to shares on our OS X 10.10.5 (Yosemite) server. We have a bunch of Local Network Users, and had no problem connecting as them from Windows 7 machines. But Windows 10 machines would just pop up the authentication dialog again with the message “The specified network password is not correct”. 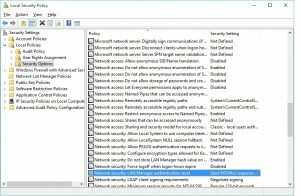 I tried all of the Local Security Policy changes that people have mentioned on the ‘net, and nothing worked. I finally came across somebody mentioning that you have to put the server NetBIOS Name in ALL CAPS when you authenticate. So, in our case, we needed to make one Local Security Policy change on the Windows 10 clients and put the server name in all caps when authenticating. This entry was posted in Mac, tips&tricks, windows on November 13, 2015 by karl.kranich. A friend brought over his Dell Vostro 3550 that he’d just upgraded to Windows 10. After the upgrade, the machine would show the spinning dots of the Windows 10 boot, but then go to a black screen before the login screen showed up. External displays worked fine, but some exploration with an external display showed that Windows 10 didn’t think there was any other display besides the external monitor. It turns out that Dell fixed something in a recent BIOS update. This machine was on A09, and Dell has A12 on their support site. I had also updated the Intel HD 3000 video driver from Intel’s site, so that might also be required. But I suspect that I didn’t need to do that. This entry was posted in windows on August 23, 2015 by karl.kranich. While working with the development version of a document library that uses Oracle for storage on a Windows 8.1 laptop, we ran into the error “ODBC error: [Oracle][ODBC][Ora]ORA-28001: the password has expired”. It turns out that up until Oracle 10, the default password policy was no password expiration. 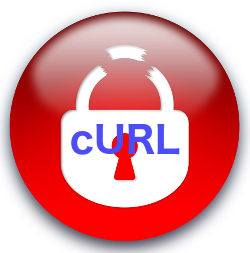 Starting with Oracle 11, there is a default password lifetime of 180 days. Assuming you’re logged into Windows as “joe”, check if you’re in the “ora_dba” group by running cmd.exe and issuing the command “net user joe”. You’ll see a list of local groups that you belong to near the end of the output. If you don’t know who you’re logged in as, try “whoami”. If you’re not in the ora_dba group, you can add yourself with the Local Users and Groups tool in Computer Management. Except that tool is gone in Windows 8.1. Very frustrating! In that case, issue the command “net localgroup ora_dba joe /add”. You may or may not need to change the password of Oracle users on your system. This entry was posted in tips&tricks, windows on February 17, 2015 by karl.kranich. Someon e in our office was getting the error “the server is currently unavailable” when trying to change Out of Office settings, and also when trying to see other people’s free/busy information. It’s a kludge that only works when he’s in the office, but hopefully Outlook doesn’t need to reconfigure very often. This entry was posted in tech, tips&tricks, windows on December 10, 2012 by karl.kranich. I was asked to put an Inspiron 1520 back to factory condition for resale, and there was a catch: no OS disk was available, and XP had been installed over the original Vista Home Premium, so there was no way to access the Recovery partition. The good news was that the Recovery partition was there. Big thanks to Dan Goodell and his instructions at http://www.goodells.net/dellrestore/vista/vistarecovery.shtml ! By borrowing a Vista install DVD and following his careful instructions, I was able to access the Recovery Partition and expand the system image found there. The imagex step writes all the necessary files to the main partition, but it doesn’t remove any personal data from that partition. You need to use other utilities to wipe the partition first. 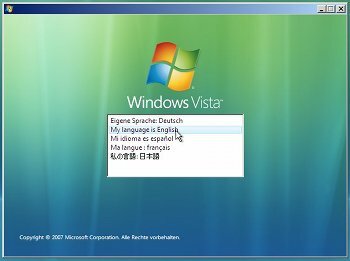 After the rebuild, the machine wouldn’t boot to Vista. But that just required booting with the Vista DVD again and letting it do a repair. This entry was posted in tech, tips&tricks, windows on September 11, 2012 by karl.kranich. Upgrading our Vostro 2510 to Windows 7 was surprisingly painless. It seemed to have good video, networking, and audio drivers from the start. However, I couldn’t adjust the screen brightness with the special keys. I tried looking for Dell Quickset for this hardware and OS combo, but no luck. It turns out that installing the Vista video driver from Dell did the trick. Now the screen brightness keys work! 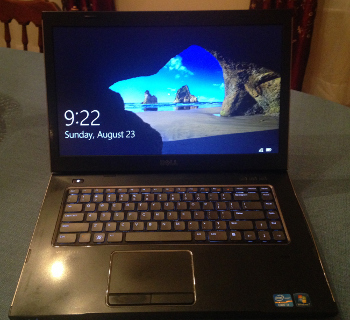 This entry was posted in tech, tips&tricks, windows on July 7, 2011 by karl.kranich. A week ago, my power, network, and volume icons disappeared from the tray area of Windows 7. When I chose “Customize notification icons” and then “Turn system icons on or off”, the choices were grayed out like the image to the left. I tried the Group Policy and registry solutions that I found online, but with no success. Find the sfc log file at C:\Windows\Logs\CBS\CBS.log and search it for “cannot repair”. I discovered that 6 .dll files from C:\Windows\system32 were messed up. I found a nice explanation here as to how to extract the files from the Windows 7 installation DVD using 7-Zip, which I already like for other zipping and unzipping tasks. That did it! I don’t know how the files were corrupted, but replacing them got the system icons back. This entry was posted in tech, tips&tricks, windows on April 18, 2011 by karl.kranich. 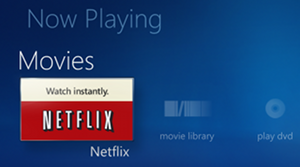 I’ve been frustrated by Windows 7 Media Center not finding listings for the broadcast stations in my zip code. I have an antenna and Comcast cable, and would like to be able to record from both. When I program Media Center with my zip code, the broadcast listings show 3 channels (out of approximately 40). A friend told me that he switched over to Indianapolis’ zip code and was able to get broadcast listings. I tried that, but then my cable company wasn’t offered. And it takes at least 10 minutes to switch zip codes and see what happens. I finally realized that I could go to zap2it.com (the provider of TV listings to Microsoft), try different zip codes, and try to find one that has broadcast and Comcast listings. I found the zip code map at maps.huge.info/zip.htm and tried 46060 first. It works! I finally have listings for all of the channels that I care about. This entry was posted in tech, tips&tricks, windows and tagged MediaCenter on September 23, 2010 by karl.kranich.